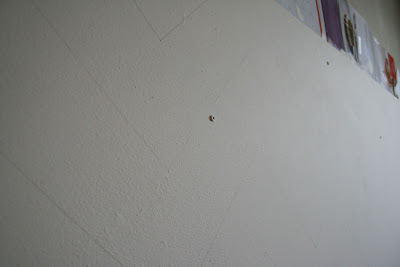 Now, the tricky part is that this piece of plywood is literally screwed into our wall. Taking it off the wall and hauling it down our stairs to revamp it wasn't in the cards. So I improvised. 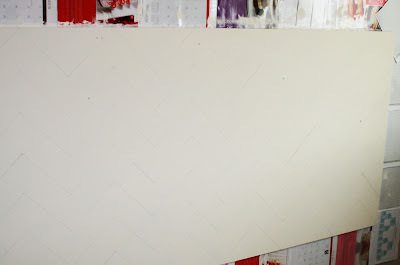 I slid paper behind the board all around the sides, taped them to the wall, put a drop cloth under the board and carefully painted the board Better Home and Garden's Classic Cream. I then channeled my favorite pattern (Chevron) again onto the board and used my own tutorial on how to create a Chevron pattern. Then I taped and painted the stripes with the same chocolate brown paint I've used on several of my favorite projects. *see below for links to all of those projects! P.S. 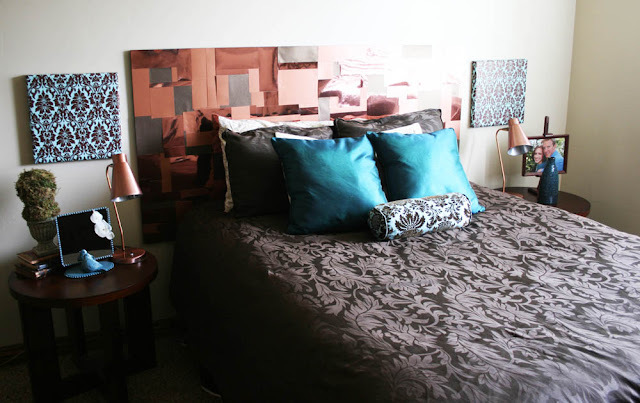 Aren't those quilted chevron pillows to die for? Couldn't believe my eyes when I saw them at Ross for $6 each! Oooh, I love it! I actually like this one better, if I may say so. Beautiful! 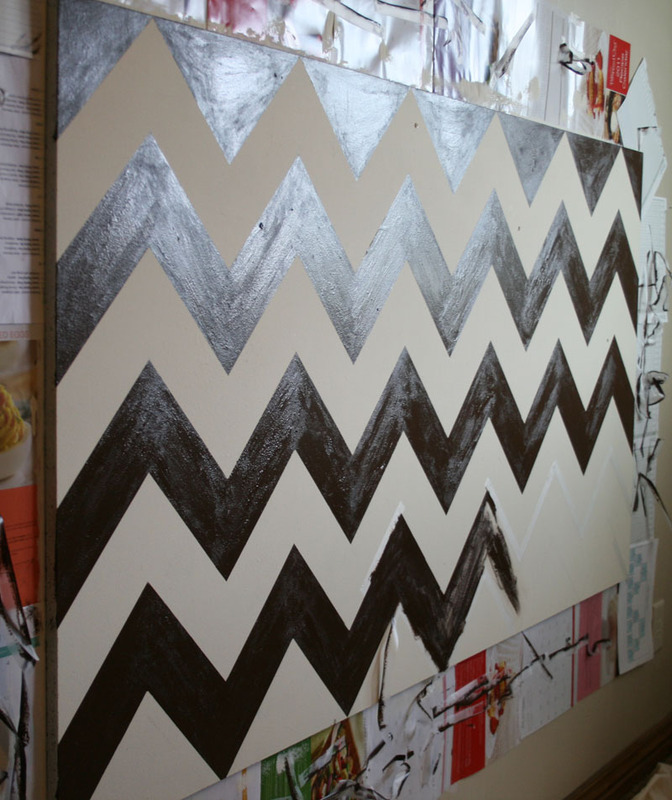 I love anything chevron!! Good work!!! I love this so much and the room looks way more cohesive with this look. 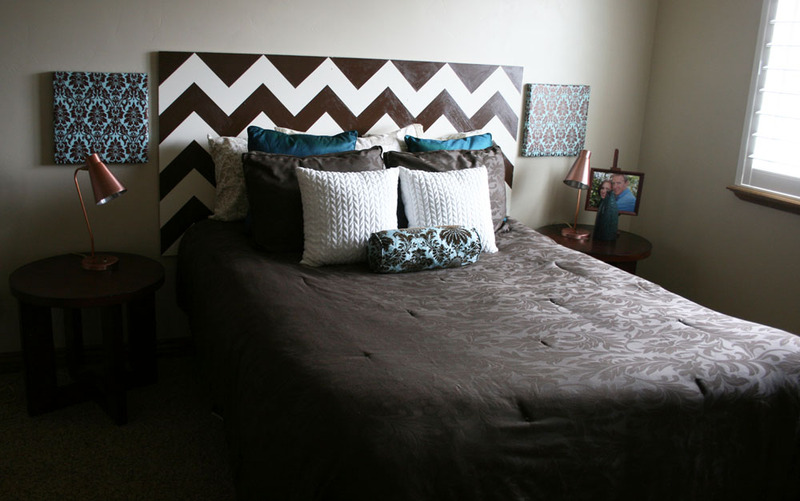 Nice score on the chevron pillows, too- sweeeet! WOW, I love it Anna Rose. Way to go! Can't wait to see what else you come up with after E takes to that with a crayon. Absolutely love this. Great frugal DIY! I love it! I think it really does bring more light to the room. It's amazing what one piece can do to help the room out. 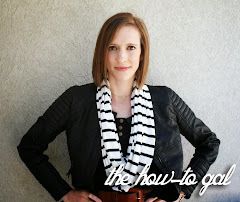 I quilt and usually go to quilting blogs but I love your blog. I think I might go crafty also. I have made Chevron quilt blocks. I love them. I have Chevron fabric also and love it. Chevron is sew cool!!! Glad to see that you love it too! Glad you are very crafty and creative.